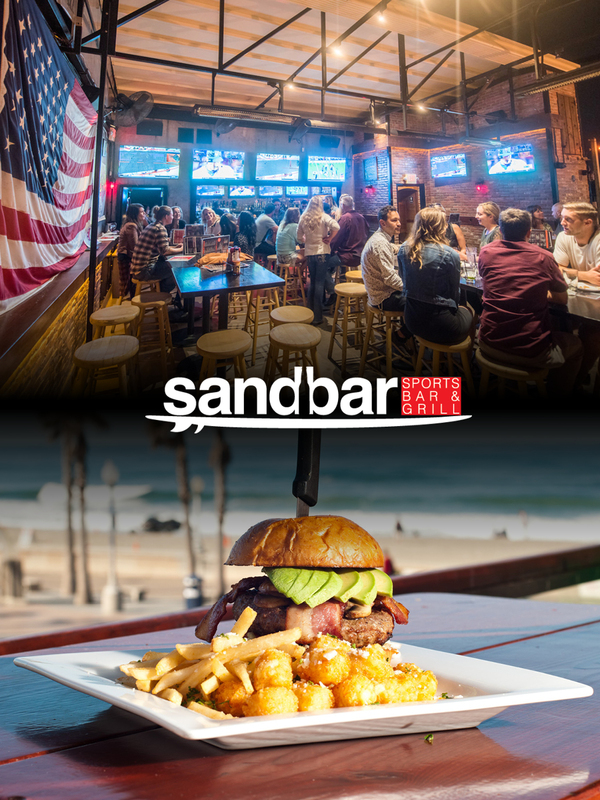 Located five short blocks from the beach, The Tavern at the Beach is a high-volume sports bar. By day it is a busy sports bar offering coverage of all major college and professional sports on over 40 flat screens. At night it becomes one of Pacific Beach’s busiest nightspots with DJs and dancing from 9 p.m. to 2 a.m. The Tavern at the Beach uses a state of the art sound system that plays your favorite songs from an 8,000-song library. 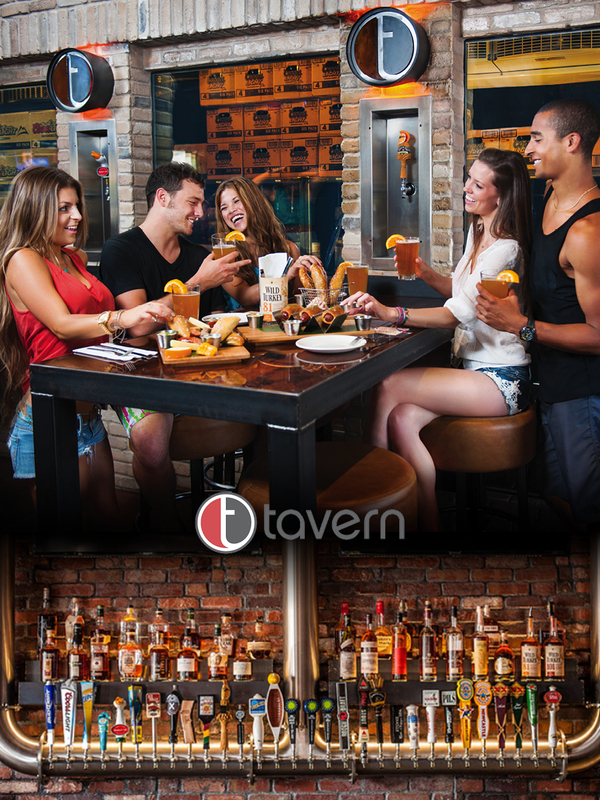 The Tavern at the Beach is one of the most innovative and cutting edge sports bars in town. 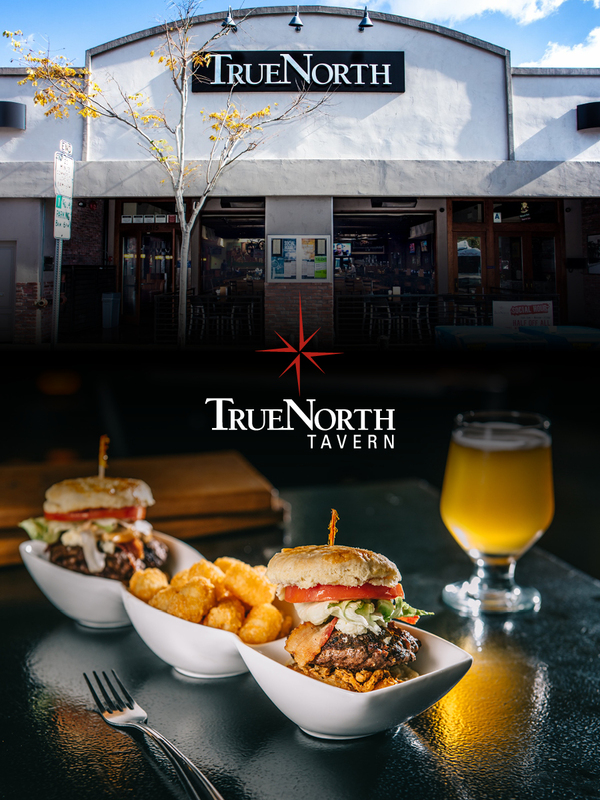 True North is a casual and laid back neighborhood bar offering a unique atmosphere and experience with something for everyone. Just off North Park’s bustling University Avenue, it’s the ideal place for social gatherings and special events, with even the sports connoisseur in mind. Here, you will find great drinks and great people surrounded by eye-catching visuals of music videos, the daily sports action and even a classic movie or two. At night, expect to find a packed house with resident DJs spinning funk, 80s, urban beats and billboard favorites. Drop in and experience our friendly, genuine and service-oriented staff. Celebrate the American tradition of enjoying fabulous food and drinks with friends at barleymash. 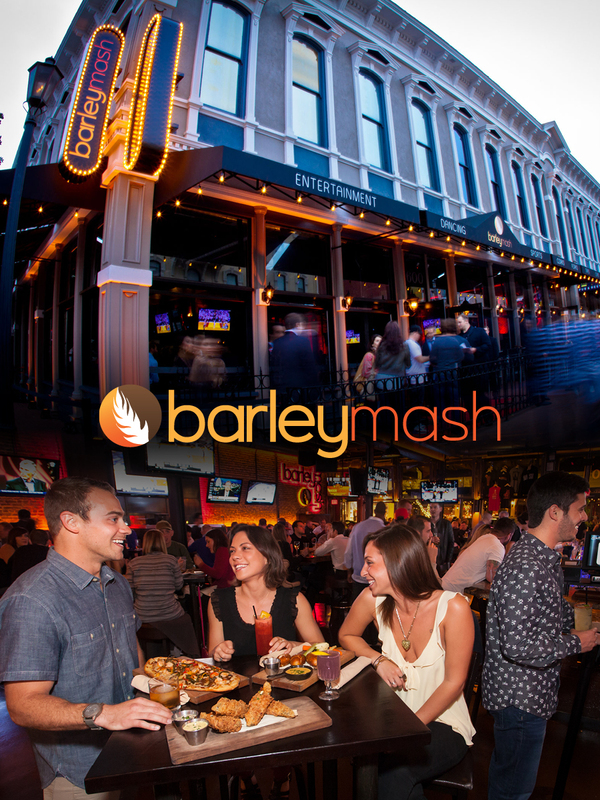 Located in the heart of the Gaslamp Quarter, barleymash places barley in the spotlight of its delectable and progressive barfare menu – which makes perfect sense, since it’s a key ingredient from which beer and whiskey are made. Get ready to sit back and enjoy some of San Diego’s best entertainment at barleymash, while you sip and savor a little taste of the American Dream! 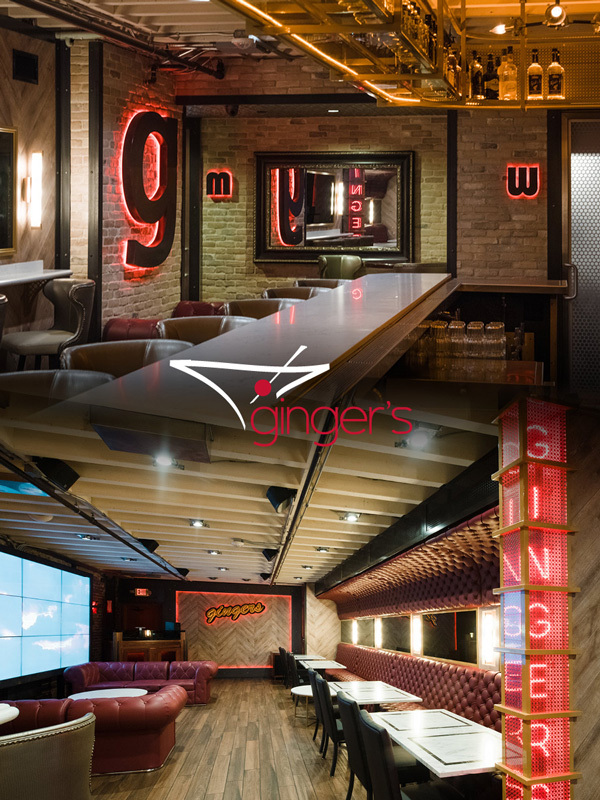 Ginger’s is an underground escape from the active nightlife found on Gaslamp’s hottest corner of Fifth and Market. With a vast selection of Gin and Vodka, Ginger’s believes that for conventional style and subtle sophistication, nothing beats a martini. The décor here is cozy, the lighting unique, the atmosphere dynamic and comfortable. Sip to great music in a casual environment; where the diverse crowd and friendly staff make a great place for a party of two or a regular meeting place for a group of friends. Welcome to our revolutionary spin on the neighborhood bar. 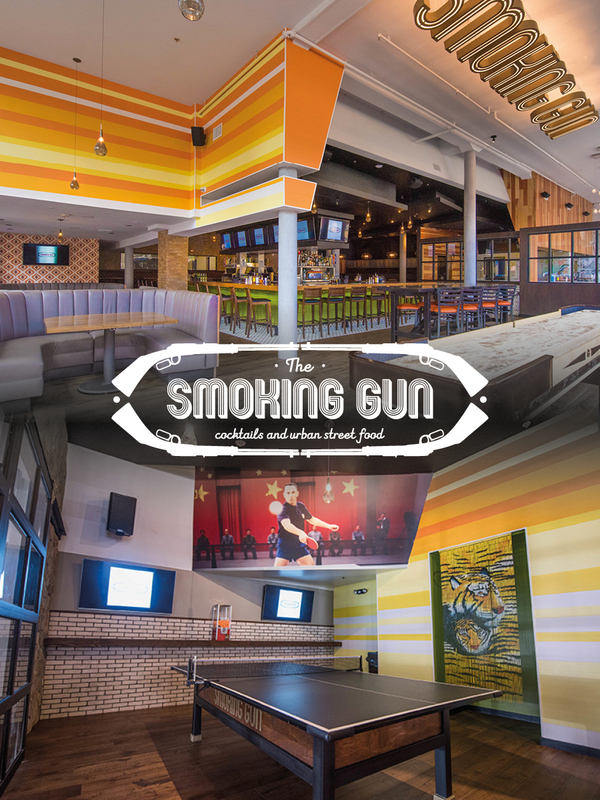 Smoking Gun evokes a mindset of face-to-face conversation amid innovative libations. We value principles over pretention as well as comfort over cool. Our urban setting and comfort street food have come together to play an active role in creating a refreshing place that you should stroll into for ping-pong, small plates, cold beers and great music . We mix drinks and friends together for a smokin’ good time. And once you step inside our efforts are targeted on you, our guest. So drop in, rest easy and speak loudly. We’ve been expecting you. 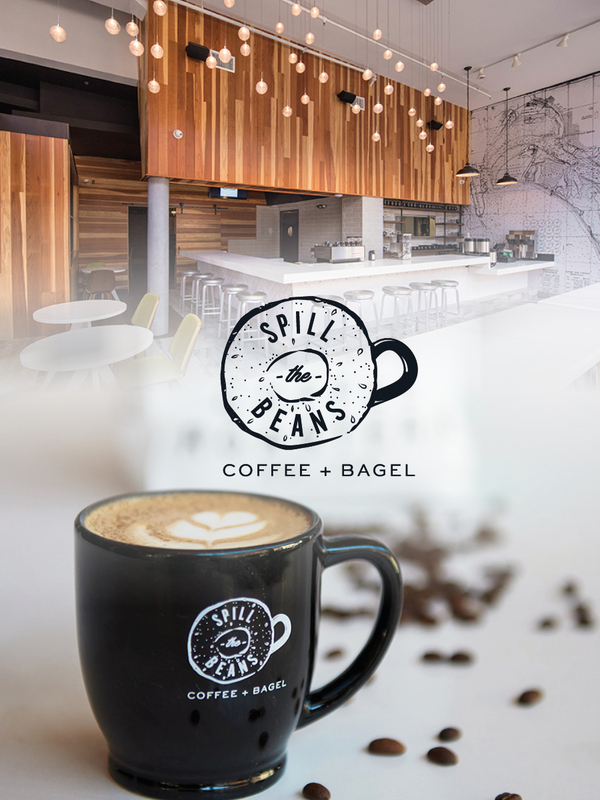 Freshly made, inventive and conscientious, Spill the Beans is rapidly defining how adults should begin their day. Our coffee surpasses the expectations in both taste and sustainability. The food we pair with your cup of joe pretty much tells it all. Slather one of our scratch-made bagels with artisan-compounded butter or your selection of house-made cream cheeses. 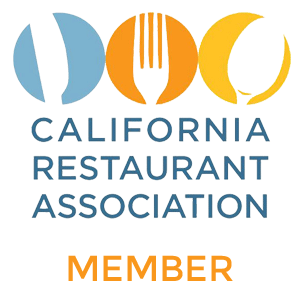 Gaslamp’s new secret is out! Go ahead and Spill the Beans with us & check it out for yourself. Let us start your morning off the right way! 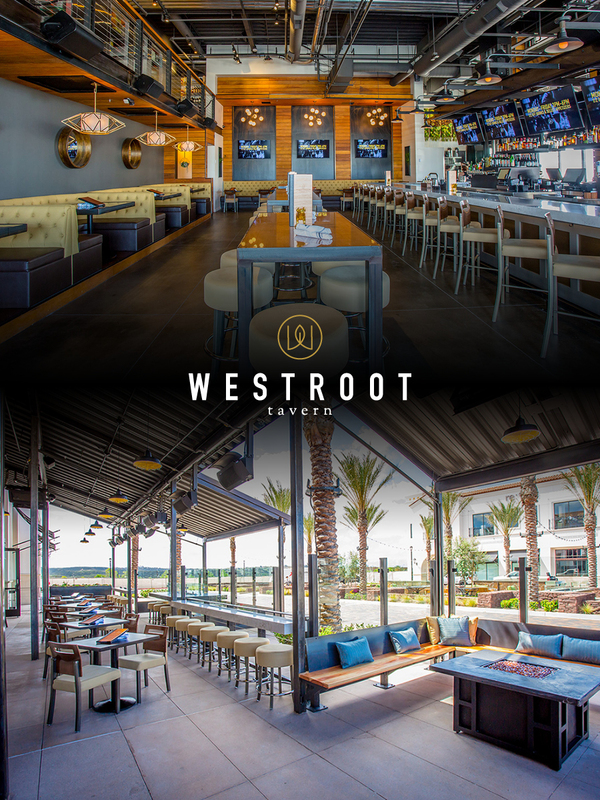 Located just steps from the ocean in Pacific Beach, you’ll enjoy a multi-level entertainment complex with 5 indoor/outdoor bars, 38 TV’s and Baja-inspired food fresh from our restaurant! 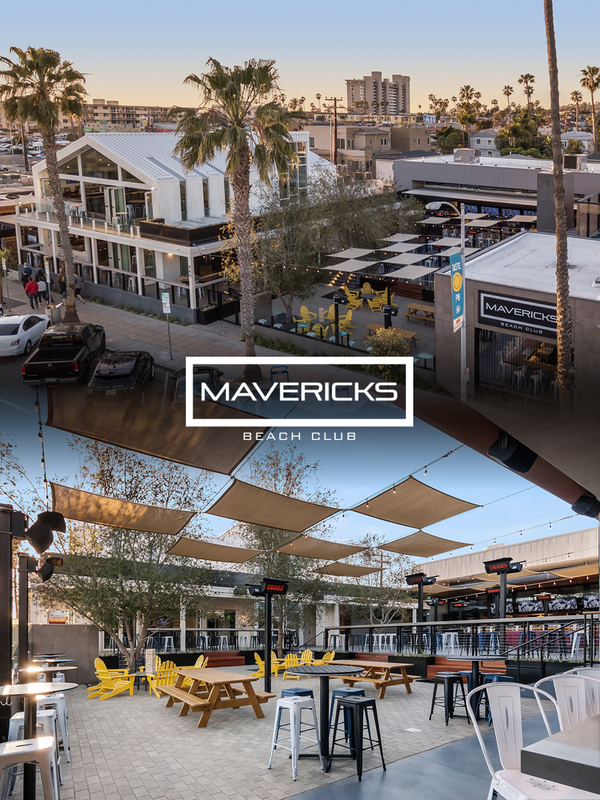 Mavericks pays homage to California’s largest surf break and one of the world’s top surfing destinations, capturing and celebrating California’s infectious beach and surf culture while providing an all-around, daily beach party! Our expansive, 15,000-square-foot property is optimized for day and nighttime fun for individuals of all ages, and groups of all sizes. 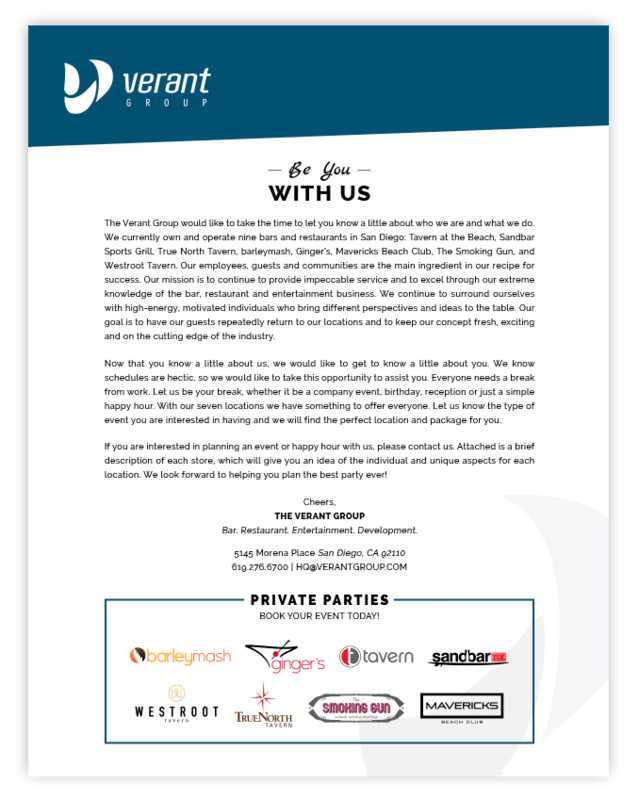 Mavericks is poised to be a top party destination, with daily activities and lively entertainment as well as being the OPTIMAL spot for hosting your private event or celebration of any size.